By Leah KurthFeatured in Make It Minnesota's Spring 2015 issue. Nothing beats a good cup of coffee. Especially when it’s made with handcrafted flavorings, accompanied by a made-from-scratch pastry, and served with a a generous helping of hospitality. 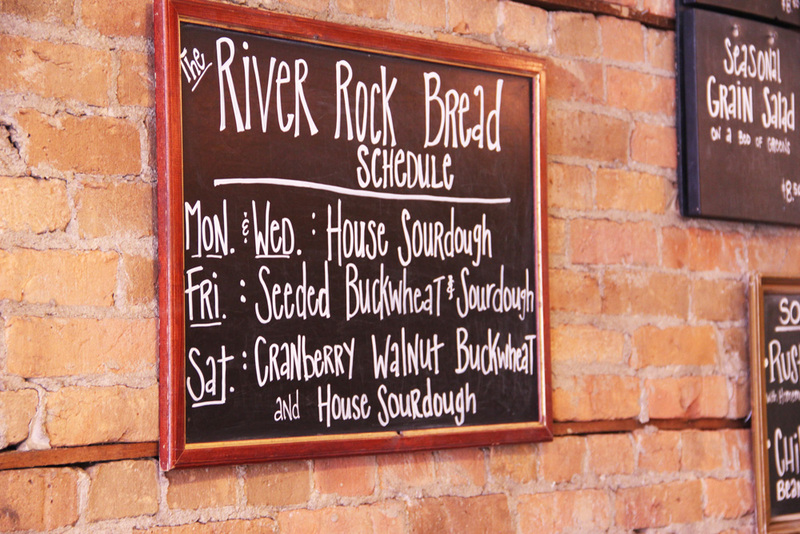 You’ll find just that at River Rock Coffee, a cozy café in Saint Peter, Minnesota. River Rock Coffee began 13 years ago when owner Tamika Bertram, inspired by the “seasonal food movement,” saw how the area could use a coffee shop dedicated to sourcing food locally. Since then, they’ve developed relationships with local farmers and growers to provide as many seasonal and locally produced products as possible. With this mutualistic relationship the shop can support their community while receiving the freshest ingredients. These baked goods always go perfectly with a cup of joe, as manager Katie Kruger points out, “You’re most likely enjoying your muffin or scone with a great cup of coffee, which has just as many complex flavors involved, so coffee and bakery pairings are always really exciting.” At least half of the shop’s business comes from coffee, and though coffee plants themselves aren’t grown in Minnesota, they work with a local roaster who they trust and works directly with the farmers who grow it. This way, even though the shop can’t get coffee locally, they still work with people locally. 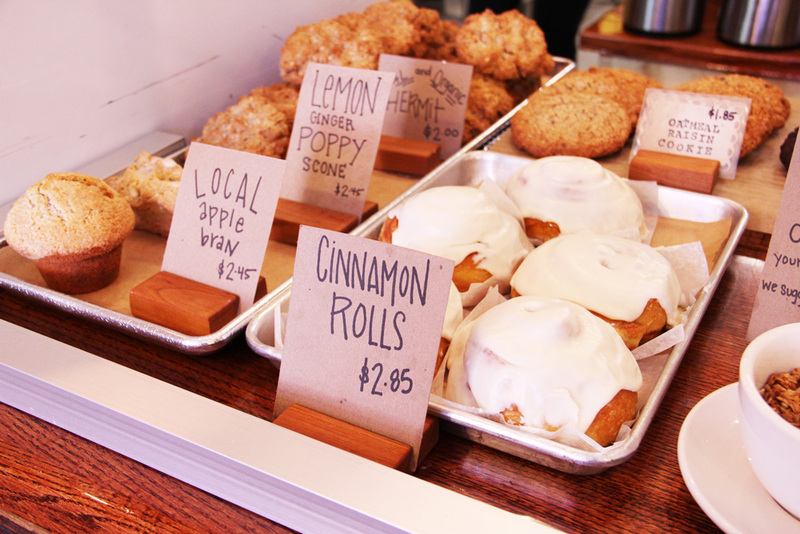 When asked what inspired the shop to use local and organic ingredients, Montana notes that it simply tastes better. She laughs, “you have to eat, you might as well enjoy it.” Katie chimes in that, “when you work with the best ingredients you don’t have to overwork them or do much to bring out the flavor because it’s there.” With great tasting products comes happy customers. They view themselves as hostesses, wanting people who walk in to feel like they are at home, welcomed and genuinely appreciated. “I think that’s what makes this place unique, the amount of care that goes into everything here, whether it’s the interactions with customers or the making of the actual products itself,” says Montana. River Rock Coffee is a great place to enjoy delicious coffee, tasty food, and warm service, and feel good that it supports its producers both locally and now globally. Its ever-shifting menu and drive to constantly improve and grow sets it apart as a true gem.